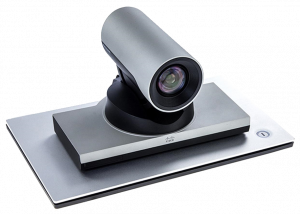 Cisco SX Series and Mira Connect | Northmar, Inc.
Mira Connect, the smart control appliance, now supports the Cisco Telepresence SX Series family of video conferencing systems in addition to Polycom RealPresence Group and HDX series codecs. Mira Connect can easily launch calls, manage audio mute and volume, position one or more cameras, start and stop content sharing, and more. Mira Connect communicates to the Cisco SX series codecs securely over the network using SSH. Simply add the Cisco Telepresence system to your room in Mira Portal, select the model number (SX10, SX20, or SX80), and enter the IP address and login credentials. 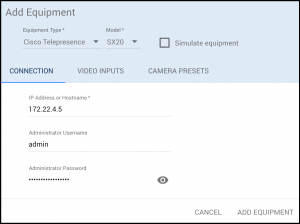 Enable content sharing on the Video Inputs tab, and select icons and text labels for camera presets from the Camera Presets page and you are ready to use the room. 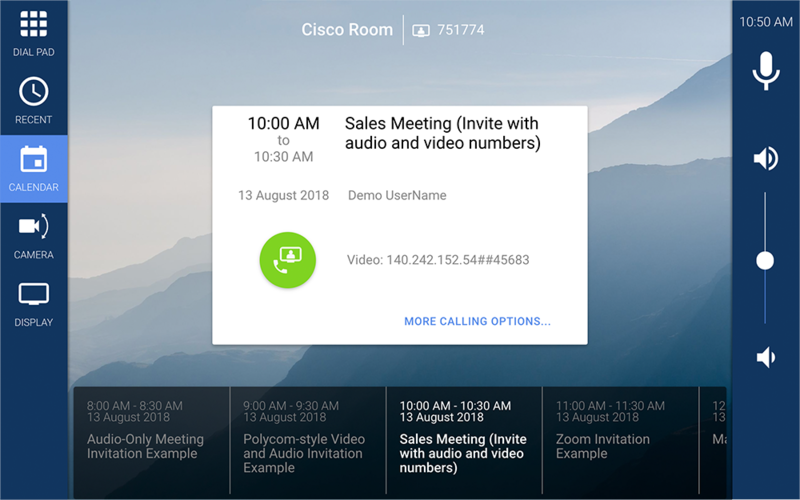 Using the Mira Connect’s Microsoft Office 365 calendar integration, meetings can be dialed with one touch, or dialed directly from the dial pad. Select the camera icon for camera control including camera presets, and select the display icon for source selection on the codec. To learn more details of the integrating the Cisco SX series codecs with Mira Connect see our integration document.